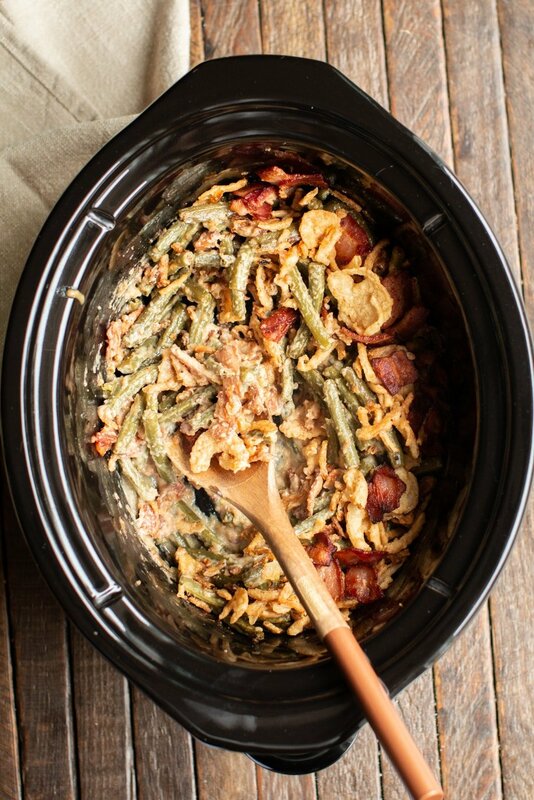 Bacon makes everything better including this Slow Cooker Bacon Green Bean Casserole. Hi all! 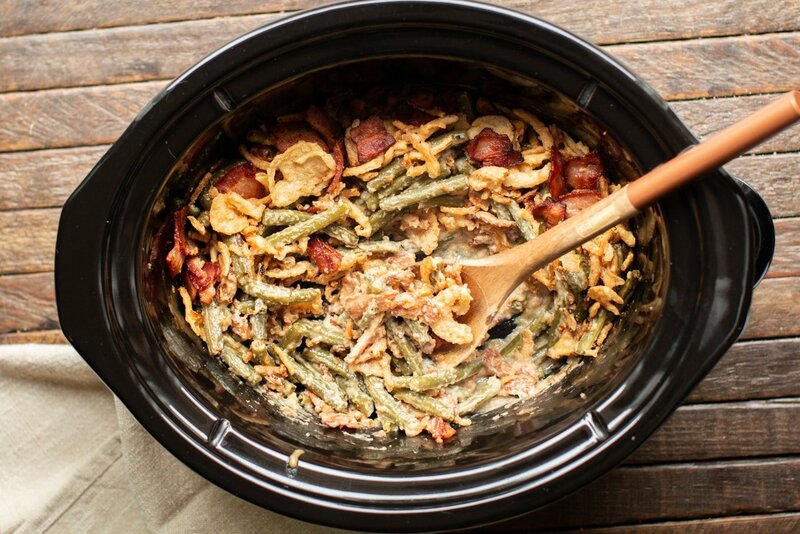 I hadn’t planned on making new green bean casserole on the blog until I saw the cream of bacon soup at the store, which is new this year. This post is not sponsored by the soup, I’m just really excited to share the news. I thought the soup tasted like real bacon, not fake or over smokey. If you can’t find the cream of bacon, cream of mushroom will work just fine. 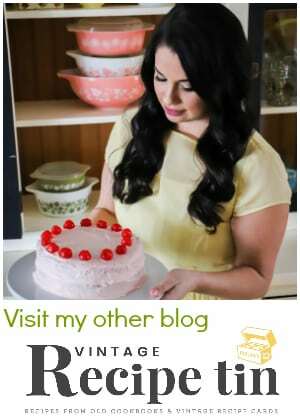 I have a few more holiday recipe coming for you in the next few weeks, please stop back by to see them. I hope you have a great weekend. 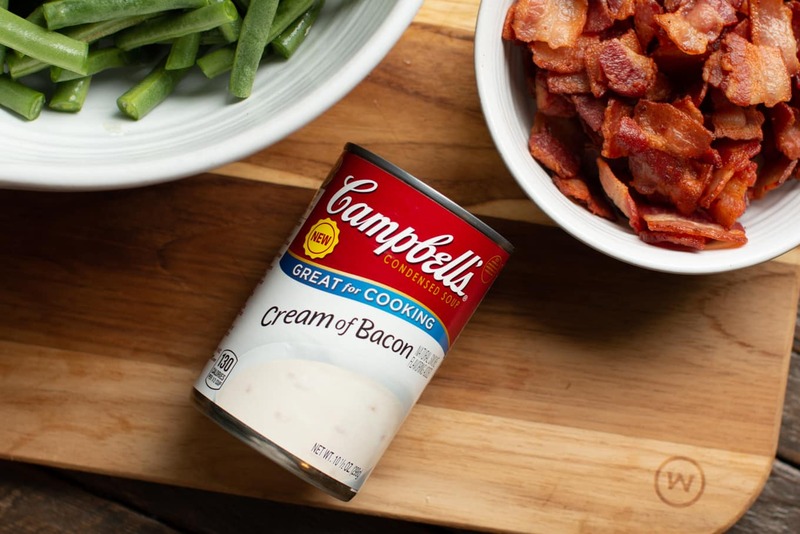 In a large bowl, combine the cut green beans, the cream of bacon soup, milk, Worcestershire sauce, half of the bacon and half of the fried onions. Stir until combined. 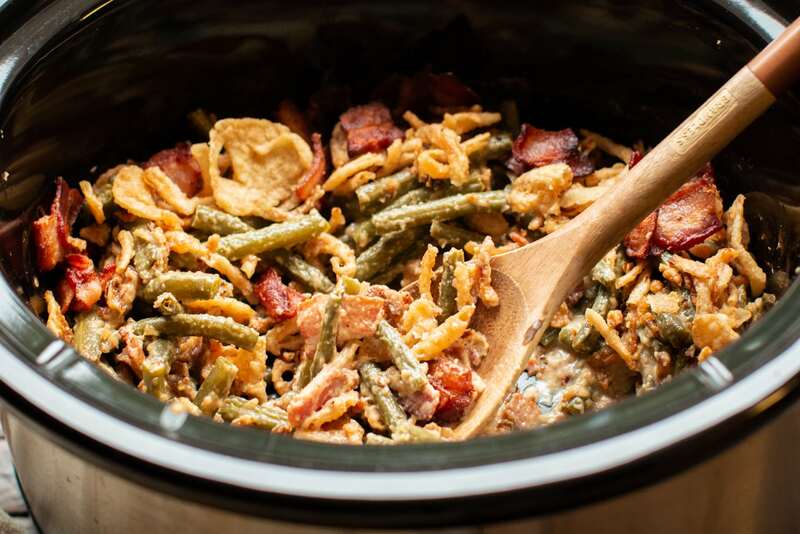 Add the green bean mixture to the slow cooker. Cover and cook on high for 3.5 hours without opening the lid during the cooking time. When the cooking time is done, add the remaining French fried onions to a hot skillet on the stove top and toast them until browned. Sprinkle them over the casserole along with the remaining cooked bacon. Nutritional values are approximate, if you require a special diet, please use your own calculations. Values below are for 1/10 of the recipe. Only two changes – I would have to use Campbell’s Healthy Request Cream of Mushroom because it has no MSG and the “new” soup does have MSG. I would also not use Frenches dried onions but fresh onions. Other than that – great recipe. 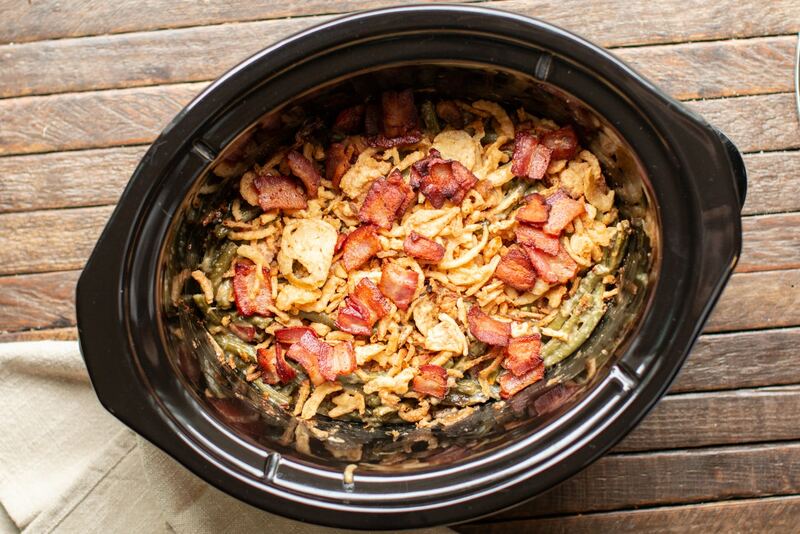 Why use a separate bowl for mixing when you can do it in the crock pot? The less we have to wash, the better! 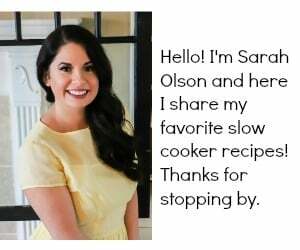 Great recipe Sarah! Saves me much needed oven space! 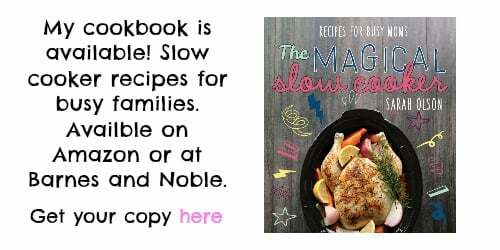 Making this for Christmas dinner. Thank you. 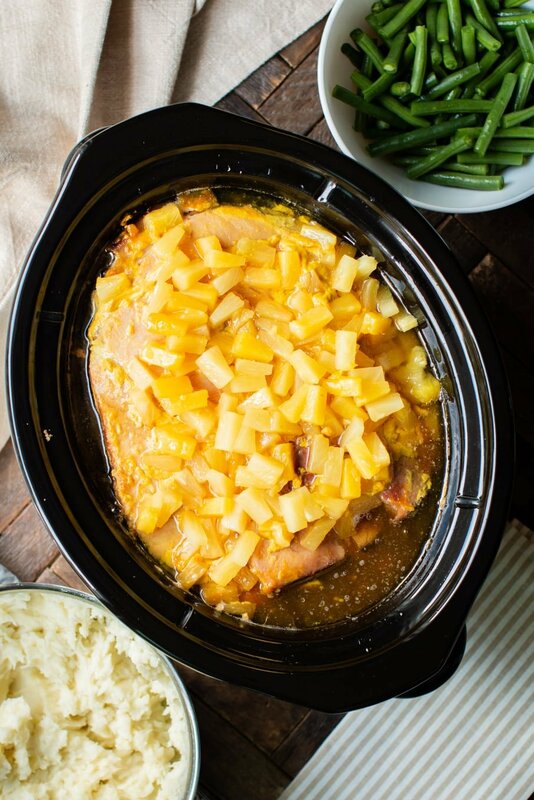 How about cooking this in a 2.5 slow cooker? Just halve all ingredients? what do you recommend when we cant find fresh green beans? I’ve used frozen green beans before! I cant find fresh green beans for the green bean casserole…. 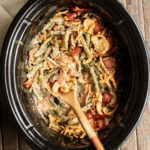 What is cooking time using canned beans? I Barb, I believe High would work. I think your low is keep warm, and medium is low. ❤️ love this new twist recipe! I’m unsure how that would turn out. Can you double this recipe? 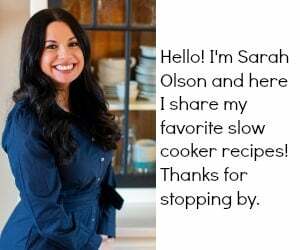 if so do you cook same amount of time? Hello, have you ever tried cooking this on the low setting? Or do you recommend high? Low setting would probably be 5 hours on low. I think it would do fine. has anyone just served straight out of crockpot? want to take to my mom’s and dont want to use ehr oven. Yes, I always do. You can brown the onions in a skillet right before serving. 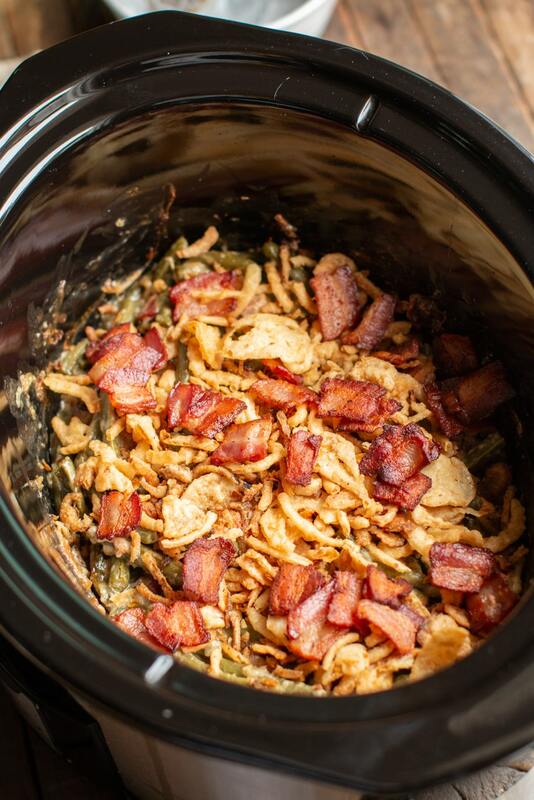 Do you mean dice the bacon instead of slice in green bean casserole? No, I sliced it before cooking. It cooks up small.